Benchmark indices and stock prices bounced back from technically important support levels and rallied strongly last week. I mentioned in my last column that markets may decline initially, but there would be strong support for the Nifty at 4,521 points. 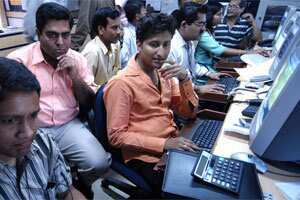 Nifty touched an intra-day low of 4,531 points on Tuesday and then rallied by 230 points. Led by bargain hunting, benchmark indices rose after three weeks of decline. Although domestic cues remained weak, improved global sentiment aided the rise. In the US, a string of positive data from employment to inflation and housing triggered hope that the world’s biggest economy is gaining momentum and led to a stock-market rally. Approval by the US Congress for a two-month extension of a payroll tax cut for 160 million workers that otherwise would have expired on 31 December also boosted investor sentiment. In the days ahead, markets are likely to consolidate with a positive bias. With big funds staying away from the markets for the New Year holiday, no major moves are expected although bargain buying will likely continue. The expiry of derivative contracts for December on Thursday is likely to be marked by volatility on Wednesday and Thursday. Other than this, calm is likely to prevail due to the absence of major market participants. Data on infrastructure output for October, bank loan growth and India’s fiscal deficit for April-November would be released on Friday. The data are unlikely to help market sentiment in any way although they may add to nervousness among investors if the numbers remain weak. On the downside, the Nifty’s first support is at 4,672 points, which is a moderate level, followed by major support at 4,637. If the Nifty rebounds from this level, it would be a positive signal for the market. A comfortable close below this level would mean a new low in the coming days as the downside will open up substantially for the Nifty. Globally, the market outlook seems positive. US markets, which are now seeing gains over the previous year, are once again at a technical crossroads. If the S&P 500 inches up in the coming days, it could possibly target 1,292 points in the immediate term (current close: 1265.33), which would mean a strong rollover to the next year. The Dow Jones Industrial Average, which is currently at 12,294, is at a very crucial technical threshold. Gains from this level would mean a further rally, purely on technical grounds. Key indicators due for release this week include the Case-Shiller House Price Index and consumer confidence data on Tuesday. The Chicago Purchasing Managers Index and pending home sales data are due on Thursday. My worries about the euro zone have also eased somewhat; there would be no European sovereign bond auction for the next two weeks, which means restricted negative news flow from Europe. Neither the US nor the euro zone is out of the woods yet and the New Year may see more ratings downgrades of key European nations. Before that happens, global markets will likely be range-bound with a positive bias unless something economically disastrous takes place in the euro zone or the US. Back home, among individual stocks this week, Kotak Mahindra Bank Ltd, United Phosphorus Ltd and Tata Consultancy Services Ltd (TCS) look good on the charts. Kotak Mahindra Bank, at its last close of ₹ 457.05, has a target of ₹ 468 and stop-loss of ₹ 444. United Phosphorus, at its last close of ₹ 134.10, has a target of ₹ 139 and stop-loss of ₹ 129. TCS, at its last close of ₹ 1,157.15, has a target of ₹ 1,176 and stop-loss of ₹ 1,132. From my previous week’s recommendations—ONGC Ltd met its target while Kotak Mahindra Bank and Hindalco Industries could not—remain valid recommendations for this week.